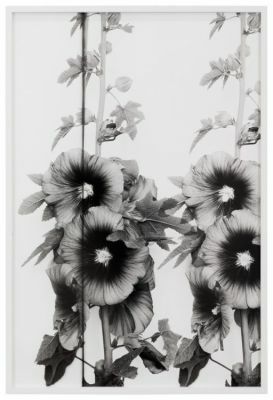 For her third exhibition at the Approach, The American Colony, Lisa Oppenheim has created a new body of work based on the photographic archive of the American Colony in Jerusalem, now housed in the United States Library of Congress, that highlights her unique ability to translate historical subjects and early methods of photo-making through contemporary experimental darkroom processes. In these new works, the artist explores stereoscopy in particular, a technique popular in the late nineteenth and early twentieth centuries for its pseudo-three-dimensional effect. Two photographs of the same subject are taken from slightly different angles and then are optically merged through a viewing device, creating the optical illusion of depth. The American Colony began as a non-denominational Christian utopian community founded by a small group of American expatriates in Ottoman Palestine in 1881. Among the Colony’s business and philanthropic activities, which included a hotel and a children’s hospital, among other things, the American Colony Photo Department created scores of images of urban life, the geography and architecture of ancient sites, the landscapes of the Holy Land, and the activities of its people. In 1915, Jerusalem and neighboring areas of Syria were struck by a massive locust plague, and the photo department was enlisted by Ottoman authorities to document the various eradication efforts. Oppenheim’s large triptych Wall to Stop Locusts 1915/2019 and the diptych Olive Tree and Wall to Stop Locusts 1915/2019 reframe a series of stereoscopic views documenting the construction of a zinc wall in the Judean desert that prevented larval locusts from descending into Jerusalem and the farmlands around it. In these images, the line between stereoscopic halves and incidental damage that time has wrought on the original negatives become structural elements in the new composition, fragmenting the scene and creating visual barriers between images. This fragmentation also destabilizes the images’ internal scale. In some areas, the wall appears towering, as if filmed from the air, while in others a human presence makes its actual (low) height clear. Through this reframing, Oppenheim draws a subtle relationship between contemporary politics and these images from a little remembered but devastating historical event. In the new series Wildflowers of Palestine and Religious Paintings, Oppenheim exposed both halves of a single stereoscopic negative on a single piece of paper. By varying the degree of offset between the two negatives, she creates a new double-image not visible in either of the original stereographic views. Unlike the locust wall, neither the close-up views of isolated flower specimens nor the flat, two dimensional paintings would have had much to gain from the illusion of depth, and it is unlikely that the either of the series were ultimately intended to be viewed stereoscopically. In some cases, it is clear that one or both of the negatives had been masked out or otherwise edited, and the residue of these interventions creates a mysterious layer of additional information within the already doubled image. The American Colony still exists today as an international hotel frequented by journalists, diplomats, and UN officials due to its status as a historically neutral zone amid the turbulent politics of the region. It has, at various points, been part of Syria, Jordan, and since June 1967, Israel, all while occupying the same East Jerusalem land.